The Elmont Fire Department on Long Island is responsible for about 35,000 residents, most of whom are black. Yet if you look at the logo for Elmont Engine Company 3 you will notice a consistent symbol -- a symbol that looks like the confederate flag. On Engine Company 3’s patches and former fire truck a logo shows a firefighter wearing what looks like confederate flag shorts. On the new fire truck, a skull is wearing what looks like a confederate flag bandanna. "I felt very uncomfortable when I saw that,” said an Elmont firefighter, who is black and wanted to remain anonymous for fear of repercussion. He felt he had to talk because of what he and others allegedly saw in Engine Company 3’s TV room. A photo of that room given to NBC New York shows what looks to be a Confederate Flag to the right of the television. Black firefighters we spoke to say they were stunned when they saw that flag inside of a firehouse. “I feel there should be a change. There should not be a Confederate flag in the firehouse. It should not be on the fire truck." We contacted the Elmont Fire Department, but they declined an on camera interview. Commissioner Ralph Esposito, who is in charge of Engine Company 3, at first declined to give his last name, then said the engine company had a long tradition going back “1924.” He said the flag in the logo was an “American flag,” then threatened legal action. A black community leader who looked into the matter said the department told her the flag was used because the company is known as the rebels. We went to the firehouse to get some answers. When we asked if there was a Confederate flag inside of the firehouse the firefighters did not say anything and quickly shut the garage door which was open. We showed Elmont residents photos of Engine Company 3's logo. But others felt people were being too sensitive. "I think they do a very nice job and if they were racist they wouldn't volunteer for the jobs they do," said Rafael Marte. "They have freedom of speech and they can do whatever they want to do," said May Milord. The Elmont Fire Department is a volunteer fire department but funded by taxpayers. Officials from the town of Hempsted, which overseas Elmont, say they have no control over the Elmont Fire Department because it is the Fire Commissioners who make all the decisions. 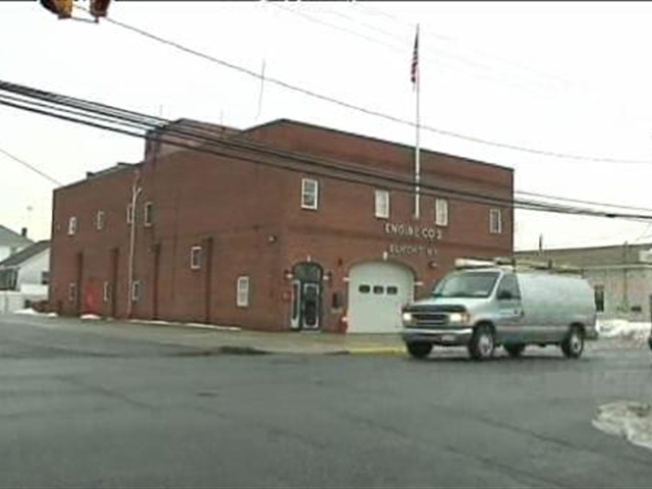 Several calls made to some Elmont Fire Commissioners by NBC New York were never returned.